Before you immediately jump to google and order a million neopoints from the first site that shows up on your search, it might be a good idea to read a few guidelines on the topic. 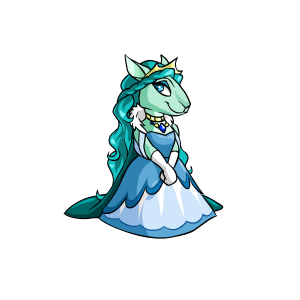 Buying Neopoints can sometimes be a risky endeavor, but this guide is here to help you through the process so you can fulfill all of your Neopets goals! There are plenty of people ready and willing to sell you a piece of their treasure trove, and there are an infinite number of Neopoints in circulation, since you can simply make more around the site. You certainly want to end up like this Scorchio here don’t you? Follow this guide and you will! The Neopets secret police (TNT) is really good at their job. Well okay, that may not be completely true, and they fall short in a lot of areas, but if you aren’t careful, they can catch you with bought Neopoints. Because of this, it is very important that you make sure you’re buying from a well-reputable site. If you don’t know anything about it, look around for some reviews because you might find some helpful information! This should be obvious, but DO NOT create a board on Neopets asking about how to buy Neopoints. You will immediately be either warned, silenced, or frozen. As long as you take every precaution available, you should find yourself very safe from getting frozen. So make smart decisions and let this guide help you do so! Many websites advertising Neopoints will offer different ways in which you can buy the Neopoints, some seemingly more trustworthy than others. It is very important that the website you choose has been verified by other people online, so as a reiteration, make sure you do research on individual websites before you even think about buying. Some websites may appear they are still running, but once you make a purchase, your money is gone and you won’t have any Neopoints at all. So make sure that in your research, you check the date of the discussion so you know if the website is still a viable option. Once your website checks out, it’s important to consider the ways in which your Neopoints will be delivered. Some sites will email you the username and information corresponding to a specific account that has been preloaded with Neopoints depending on the amount you’ve purchased. In most cases, this is a safe method because Neopoints won’t be suspiciously changing hands on site. However, if you do receive a new account, it is very important that you take all the necessary precautions not to reveal that it was sold to you. There is also the option of receiving Neopoints in a trade or through highly priced items in your shop. For example, you might put an item you don’t want up on the trading post and you will receive an offer of 10,000,000 Neopoints, coming from the site who sold you the Neopoints. You could also have unwanted items in your shop on sale for 99,999 Neopoints and the user who buys them would be the Neopoints seller. The advised method is to receive the neopoints on an account, because TNT frequently looks into suspicious shops and trading post items to make sure there isn’t any rule-breaking going on. However, if you do decide you want to have items set up in the trading post, it is best to use items that aren’t junk, i.e. cheap paint brushes or codestones. These are in high demand and usually will go under TNT’s radar. A key way to know if a site for buying Neopoints is safe, is to make sure that they will NEVER ask for your password! As you can see from the methods listed above, this is not required. The site may advertise that they need your password so they can put the items directly into your account, but the only way Neopoints can be transferred are by the methods above, neither of which will put Neopoints directly into your account. If your password is asked for, the site will most likely be a scam! It is also suggested that instead of buying Neopoints in pure, you buy ETS items. ETS stands for easy to sell, meaning you might buy a Baby Paint Brush, worth 600,000 Neopoints, and simply sell it on the Trading Post to make your pure Neopoints. This is suggested because items moving around are a lot less suspicious than large amounts of Neopoints. You can even auction them off in the Auction House and perhaps make an even larger profit from what you might expect on the Trading Post! But be sure you don’t try to sell the items in your shop, because they are worth a lot more than 99,999 Neopoints. It also might be a good idea to sell slowly when you receive your items, perhaps once a week so you don’t seem suspicious. Better safe than sorry! Some items are of course worth more than others, so the site you choose to buy from may ask that you buy one expensive item if you want to resell it, instead of buying many less expensive items, that way both parties can do safe business. Learn how to use proxies! Proxies can be very important if you are buying Neopoints online, because you can hide your IP address. Why should you do that? Because in the rules, you are allowed five accounts, one main account and four sides. If TNT sees that you are logging into more than five accounts from they same IP address, they may choose to investigate. It is true that some large families all play Neopets from the same IP address and have done so safely, but TNT may have investigated them and decided they were following the rules. You my friend, will not be following the rules, so it is in your best interest to learn how to hide your IP address when you start making purchases and receiving information to accounts with Neopoints and items preloaded onto them. Additionally, if you’ve hidden your IP address, but one of your purchased accounts is frozen by TNT, this precaution may insure that your other accounts will remain unfrozen and safe from detection. It is important to ensure this safety if you have more than five accounts or have accounts that were not originally yours. After you’ve bought your Neopoints or items, you should never run over to the boards and post about it. This is suspicious in the eyes of TNT as well as the users on Neopets. If you suddenly have a bunch of highly painted pets or very expensive items in your gallery that don’t seem to fit with your account, you might be reported by a user who thinks you have cheated. Any time you break the Neopets rules, you should lay low and wait for awhile until quite some time has passed from your purchase. During this time, it might be a good idea to spruce up your account! Make it pretty like that Royal Girl Kyrii over there. Maybe give your pets some nice lookups so the people who feel your account is suspicious can see that you play Neopets regularly and most likely follow the rules. Many people who frequent the boards have userlookups with fancy coding as well, so it would be wise to look into that! You can find free premade examples online. Don’t forget to add a little bit of personality into them though, because sometimes pretty userlookups without any description can look just as suspicious as a blank one. Okay that’s great, but where do I buy? Many of the tips and guidelines you’ve read here have actually been adapted from this site, as well as from suggestions by other people who buy Neopoints online. In most, if not all cases, this site will give you the information to an account with your purchased items already preloaded. The safest way to purchase Neopoints! The site also offers the opportunity to buy unconverted Neopets and gives plenty of information on how to safely do so. The site also has sales on its items from time to time, so if you think something might be too expensive for you, wait a few weeks and it might just go on sale! Neopoints.in will also NEVER ask for your password, a key aspect that can tell you the site is safe and reliable. Just like you would on any site, be sure to read through the FAQ and make sure you know everything about Neopoints.in before purchasing! It will make the experience easier for you as well as the seller. If you have any questions about buying Neopoints or would like to share your experience, please feel free to leave a comment below!